BOOK 1 // Human Error (COMPLETE) BOOK 2 // Human Instinct (IN PROGRESS) *NOW OPTIONED FOR A TV SHOW* "Be not afraid of greatness. Some are born great, some achieve greatness, and others have greatness engineered right into their DNA." - William Shakespeare, 1602 (adapted for BioPlus) Astrid Oxford is not normal. Two hundred years into the future, society is recovering from global collapse, and genetic modification has saved the remaining population from a hunger crisis. 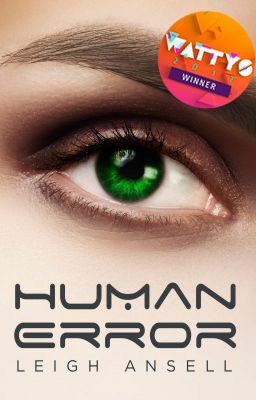 The alteration of human DNA has been illegal since the technology was developed, but in the heart of New London, a sinister trend has emerged among society's elite. Designer children have been the city's best-kept secret for years, but strange side effects are now appearing as they hit adolescence. When a freak suicide forces modification into the public eye, eighteen-year-old Astrid is about to learn how difficult it is to stay under the radar when you really were born to stand out.